At Therapy Spot we encourage parents to routinely monitor their child’s hearing, especially before the age of five – a time known as the “critical period” for speech, language, and cognitive development. Research shows that half of the children with childhood hearing loss actually develop hearing loss in the first few months or years of life. This is an important period in a child’s development as it is easiest for the brain to learn new information and form new connections during this time. If a child experiences hearing loss before the age of five, they are at a higher risk for falling behind their peers in speech, language, and cognitive milestones. Therefore, before the age of five, a child’s hearing should ideally be screened every 3-6 months. “Early intervention” (the early identification and treatment of hearing loss) during the critical period is key to ensuring social and academic success for your child. For parents that wish their child to be an aural/oral communicator (using verbal speech and hearing to communicate), the earlier hearing loss is identified and managed, the better. Management typically means the fitting of hearing aids or cochlear implants with an audiologist (a health care professional who specializes in hearing). However, although hearing aids and cochlear implants amplify and transmit sound so that your child can hear, they do not restore hearing to normal levels. 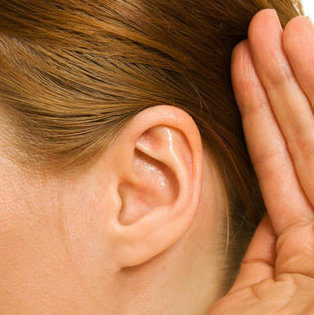 How does hearing loss affect speech, language, and cognitive development? Children with hearing loss have difficulty hearing quieter sounds such as, “s”, “f”, “t”, “k”, and “sh.” Difficulty in hearing these sounds makes it harder for children to produce them, which can result in speech sound errors. Further, if children have difficulty hearing and monitoring the sound of their own speech, they will find it difficult to regulate the volume and inflection in their voice, which may result in a more monotone or unnatural sounding voice. This combination of speech sound errors and difficulty regulating the sound of their voice, will make it more difficult for your child to express themselves, and will also make it more difficult for peers, family, and teachers to understand them. Children with hearing loss often have slower developing vocabularies, as they are not hearing language around them clearly or completely. Children with hearing loss have been found to have difficulty understanding more abstract words (ex. before, after), grammatical words (ex. the, an), words with multiple meanings (ex. bank), and in general use simpler and shorter sentences. Further, when children have difficulty hearing sounds like “s” and “t” this impacts their proper use and understanding of verb tense (ex. “jumped” – where “ed” makes a “t” sound), plurals (ex. The kids played with the cat), and possessives (ex. The girl’s ball). These difficulties can therefore affect a child’s literacy abilities (ex. sounding out words), and can impact their overall academic success. As the above speech and language difficulties affect a child’s ability to express themselves and communicate with others effectively, children with hearing loss can experience social isolation and feelings of decreased self-confidence, which would affect their friendships, and interactions with new communication partners. How can I help my child who had a hearing loss? For children, aural rehabilitation therapy is done using fun, functional, play-based methods, to help your child become an effective listener and communicator. At Therapy Spot we conduct hearing screenings during our speech and language assessments, to determine whether there is an underlying hearing loss which may be contributing to a child’s speech errors, expressive language abilities, and language comprehension. We also conduct speech recognition testing, to determine what percent of conversational speech is being heard. If further hearing assessment is needed, we refer clients to an audiologist for a more comprehensive hearing assessment. Contact our office today if you would like to schedule a hearing screening or aural rehabilitation for your child. American Speech-Language-Hearing Association (2017). Child Aural/Audiological Rehabilitation. http://www.asha.org/public/hearing/treatment/child_aur_rehab.htm. American Speech-Language-Hearing Association (2015). Effects of Hearing Loss on Development. Audiology Information Series, 10802. Ching, Teresa Y.C., and Harvey Dillon. “A brief overview of factors affecting speech intelligibility of people with hearing loss: implications for amplification.” American Journal of Audiology, vol. 22, no. 2, 2013, p. 306+. Academic OneFile,go.galegroup.com.myaccess.library.utoronto.ca/ps/i.do?p=AONE&sw=w&u=utoronto_main&v=2.1&it=r&id=GALE%7CA358057396&asid=2be4d97f4ae522394c06958f8cd2f867. Accessed 28 Apr. 2017.